Dreamforce ’17 session and T-SHIRT info! The best week of the year is here, it’s time for Dreamforce 2017! I’m so excited that I’m almost scared =) What life changing surprises are in store for us this year?! There are no slides in this session! No registration, and there’ll be no fancy marketing spiel either. It’ll be me, sitting in a circle alongside (hopefully) all of you, having a heart to heart conversation where I will answer literally anything you want to ask. Want to talk about careers? Certifications? How to stay motivated? Money? SWAG?!! Nothing is off limits and I’ll give you my best honest answers! 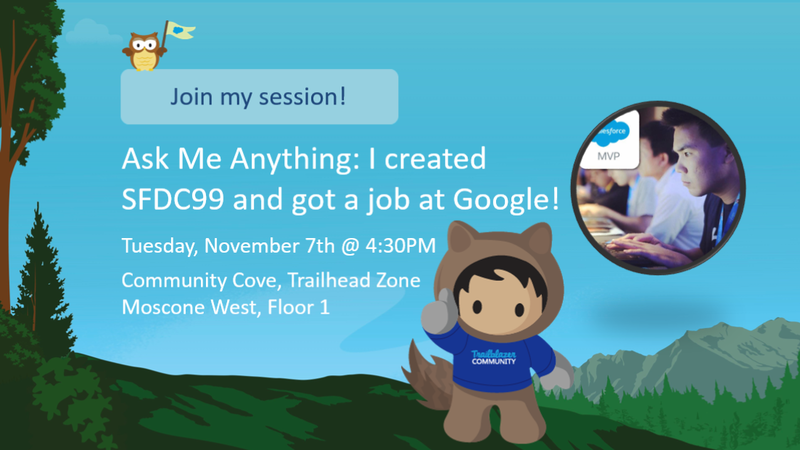 Session: Ask Me Anything: I created SFDC99 and got a job at Google! This is my last batch of shirts, so after this the design will be retired and I’ll have to convince the wife again to let me spend a few hundred bucks to pass out shirts to people I’ve never met before. HA! 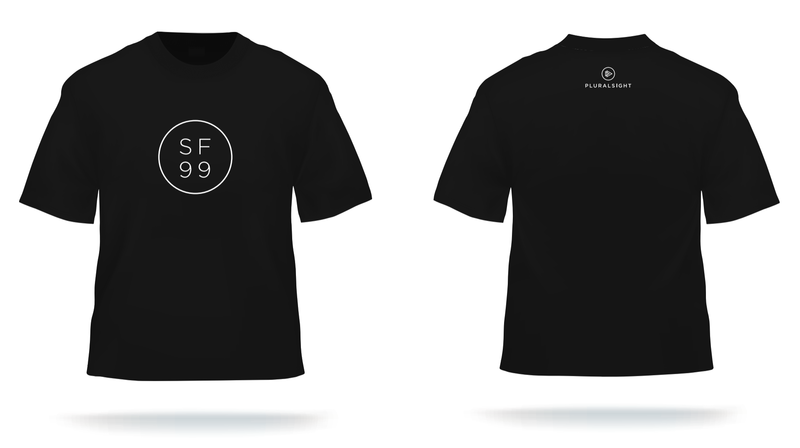 Your only chance to get an SFDC99 t-shirt this year! This session is part of Salesforce’s Community Cove Campfire initiative. Learn more about it and check out other Campfire chats at #DF17 with other Salesforce community leaders! Hi David, Thanks for taking out time to chat with us today at Dreamforce event and for the wonderful T-shirt. Really excited to have the chance to chat with you. I will be there nice and early! I am very excited to meet you in person @my first dreamforce. Awesome!! Cya there Blanche and welcome to Dreamforce! Remember the name – Rohit ! Will see ya there ! I wish I was going to Dreamforce this year! I’m curious what your day to day work is like at Google. Are you always working on big projects? Are you only coding or do you still do a good amount of admin work? Hi David, Is there any chances to held such type of workshops in INDIA. There are a lot of audience waiting for you. I was just in India Dreamin in Noida a few weeks ago! Hope to go back to India soon! yup. I remember. I was there. Hope to see you again. Thanks David. Hope to see you there!! LOL!